According to new research commissioned by Age UK and the British Geriatrics Society, using the medical term ‘frailty’ can provoke a strongly negative reaction from older people, because of its associations with loss of independence and end of life. The report, Frailty: Language and Perceptions by leading research agency BritainThinks, reveals that older people prefer to describe their needs in more straightforward terms: they see themselves as starting to struggle with things, or being worried about their health, but not specifically as ‘frail’. The biggest priority for the older people interviewed was staying independent, but they often saw ‘frailty’ as an irreversible state, entered into at the very end of life and associated with severe physical and mental limitations. This contrasts starkly with the clinical concept of frailty as understood by medical specialists, which is a condition which needs to be identified and diagnosed so that it may be managed with appropriate support. Medics point out that some symptoms of frailty may be reversible. Specialists such as geriatricians are thus aiming to spread understanding of frailty among the wider community of health care professionals. Disturbingly, older people were felt to be so put off by the words ‘frail’ and ‘frailty’ that this might deter them from seeking appropriate support should they actually experience the symptoms of frailty. In many cases those interviewed described the moment they needed to ask for help as ‘a major turning point’ in their sense of well-being, and a real threat to their independence. Using language which promotes what can be achieved through a person’s healthcare, rather than assuming nothing can be done. Raising awareness amongst health professionals of how best to support older people living with frailty, and finding a way to engage older people with this type of care. Caroline Abrahams, Charity Director at Age UK said: '"Frailty" is all at once a medical term, an adjective, and a noun, but as the research shows for many older people it feels like a judgement. People described as living with frailty must be recognised as having unmet needs. We know that if they get the right sort of care the need for emergency help is minimised. This not only improves the person’s health but saves the NHS money. 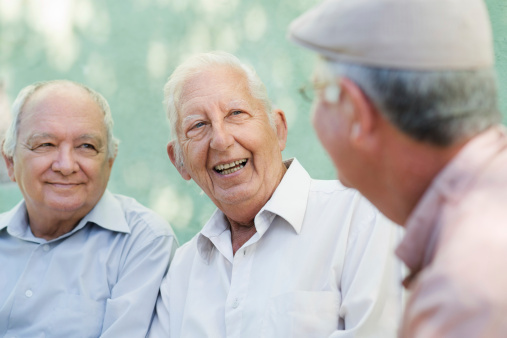 Health and care services need to re-evaluate their use of the word ‘frailty’. It would be better to focus on the factors that may be underlying someone’s frailty and find solutions that help. This should also be reflected in how all professionals communicate with people." Speaking for the British Geriatrics Society, Dr Adam Gordon said: "Frailty has been embraced as a concept by parts of the NHS in an attempt to signpost services which are known to deliver better health for older people in later life. These types of services, which are delivered by multidisciplinary teams and rely upon specific expertise in health problems which are common in later life, can help to slow the progression of disability and enable older people to participate in society more fully. If the patients we are seeking to help are put off by the very use of the word frail, then perhaps we’ll need to reconsider how we refer to such initiatives. The take home message here, though, has to be that no patient, no matter how old or dependent, is beyond help. We have to find the right words to help our patients and broader society recognise this."